The Australian Institute of Project Management (AIPM) supports the Federal Government’s decision to award the contract to build Australia’s 12 new submarines to France’s state-controlled naval contractor DCNS. 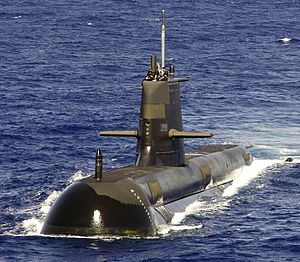 “The decision to undertake construction of the submarines in Australia using Australian project managers is an indicator of the strength of local capability and the government’s renewed focus on innovation, which should see the fleet delivered successfully through good design and project management,” said Yvonne Butler, AIPM CEO. Butler praised the stakeholders for taking a portfolio management approach and said this would ensure the Fundamental Inputs to Capability (FIC) are delivered in an “aligned, interlocking and interdependent way” and will increase the project’s chances of being delivered to scope, time and within budget. “By taking a portfolio approach to FIC it signals that the government is serious about the lessons learnt through the project management discipline to assist in the successful delivery of this contract,” she said. The AIPM also highlighted the professionalisation of the project team as a contributing factor to its future success. “We believe that the re-professionalised Capability Acquisition and Sustainment Group under the leadership of Kim Gillis, which has seen their project and program managers independently qualified and certified, puts this project in a good position to succeed,” Butler added. However, the AIPM warned of the implications to Australia should the $50 billion project not follow lessons learnt from previous submarine delivery projects. “Really good defence and industry capability is always reflective of lessons learnt from previous capability acquisitions,” said Butler, referring to the much maligned Collins Class submarines.